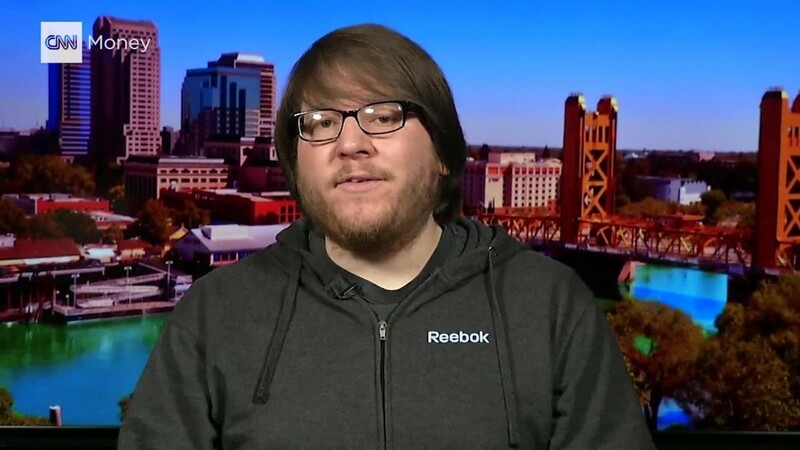 Matthew Keys, a former social media editor at Reuters, was sentenced to two years in prison for helping hackers break into the Los Angeles Times website in 2010. Keys said in a tweet that he plans to appeal the decision. "2 years," he wrote. "We plan on filing a motion to stay the sentence...This whole process has been exhausting." Earlier in the day, Keys penned a thank you note to supporters and maintained his innocence. "I did not ask for this fight," he said. "I hope that our combined efforts help bring about positive change to rules and regulations that govern our online conduct." Keys, 28, was convicted last October of conspiring with the hacker group Anonymous to break into the network of the Tribune Co., his former employer. The Tribune Co. owns the LA Times. Keys had been fired from Tribune-Co. owned KTXL FOX 40 in October 2010. Two months later, he handed over the information Anonymous needed to hack its network. According to court documents, Keys passed login information to Anonymous members in an online chat urging them to "go f--- some s--- up." According to the indictment, at least one of the hackers used the credentials he provided to log into the company's server and alter a news story on the Los Angeles Times website. He later went to work for Reuters, which dismissed him after he was charged with the crime. The Justice Department charged him for transferring information in order to damage a "protected computer."